Within” The Benefits of Non-Violence as a Culture and Instrument for Conflict Resolution Domestically & Regionally“ project, an initiative entitled “Using Social Media to Defeat Violence “was launched by Aisha Association for Women and Children Protection in cooperation with Pal-Think for Strategic Studies, with the active participation of twenty young women from empowerment project of Aisha Association. 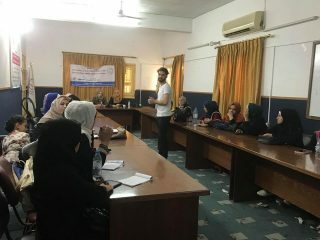 This initiative aimed at introducing electronic violence, its types and ways of reducing it; by organizing five training days of, during these days several topics were discussed, starting with an introduction to social media, privacy, electronic security on social media, in addition to the settings of the social networking platforms, methods of securing accounts, ways to defeat violence through social media. 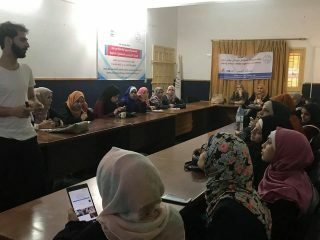 The initiative coordinator Ms. Kholoud Juifl stressed that with the development of social networking platforms and its presence in our daily lives, this has led to the emergence of a new type of violence called electronic violence, practiced through electronic media ,therefore it was necessary to recognize this type of violence and training participants on mechanisms to address it, since most of girls who are subjected to cyber violence become victims to its various forms, and have no idea what tools and steps should be taken in order to confront these electronic attacks . 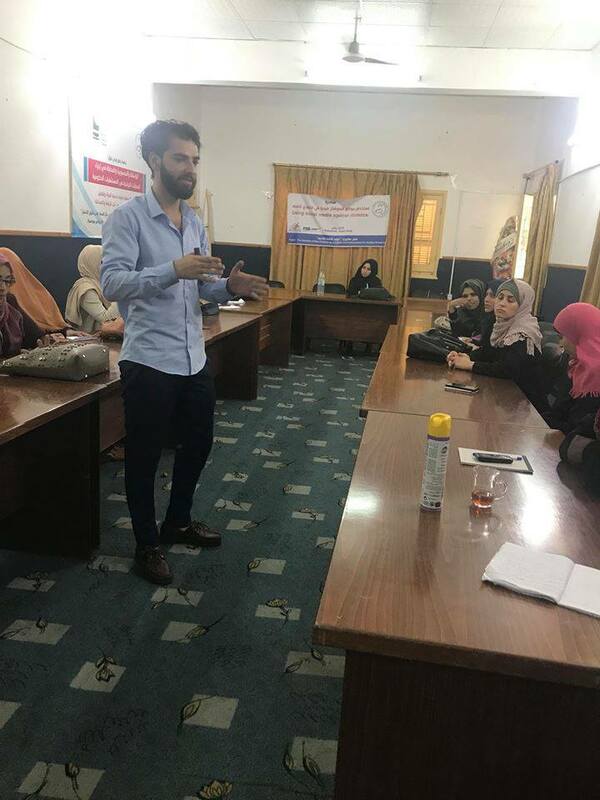 On the other hand, the initiative trainer Mr. Ahmed El Madhoun addressed many topics during training, such as definition of electronic violence, its types, objectives a, characteristics and the social dangers of electronic violence. 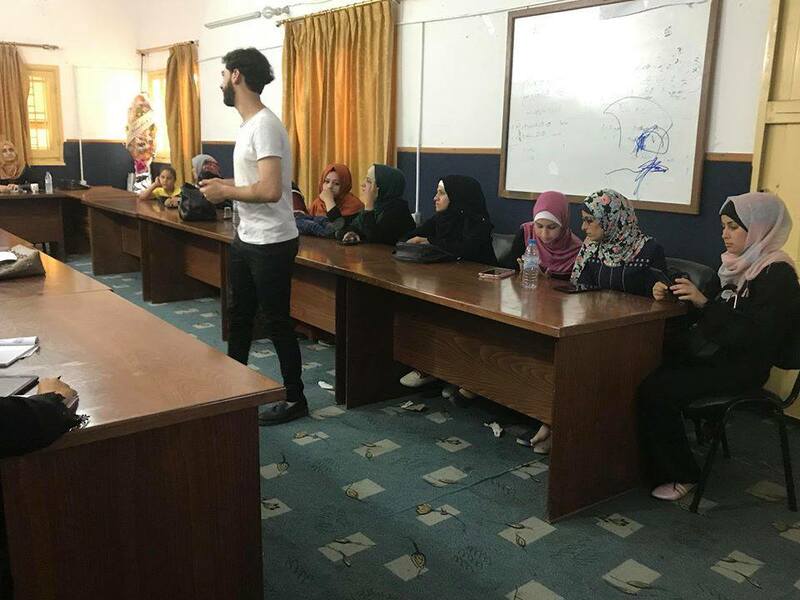 The participants were distributed in groups, where they came up with creative ideas to address violence in all its forms, through various social networking sites. At the end of training participants introduced ideas for electronic campaigns calling for an end to the violence directed against various groups of society including women, children, people with disabilities, and other marginalized groups. 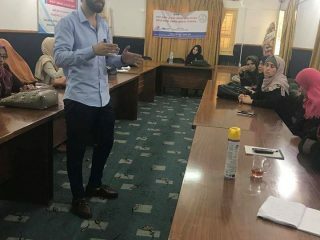 Finally, Mr. Ahmed emphasized the need to continue to work on similar activities in the light of technology contributing in the spread of new types of violence against women and girls, and the different categories of society in general. 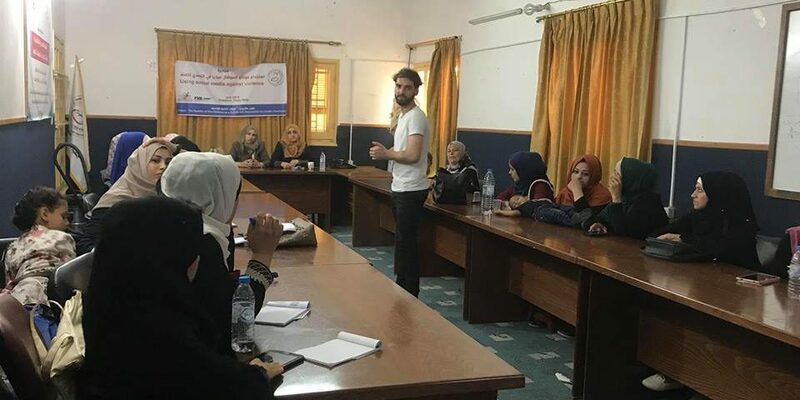 The participants emphasized how important the training was to them, since it enabled them to identify social media platforms on a good way, in addition to applying safety and protection ways to address violence.